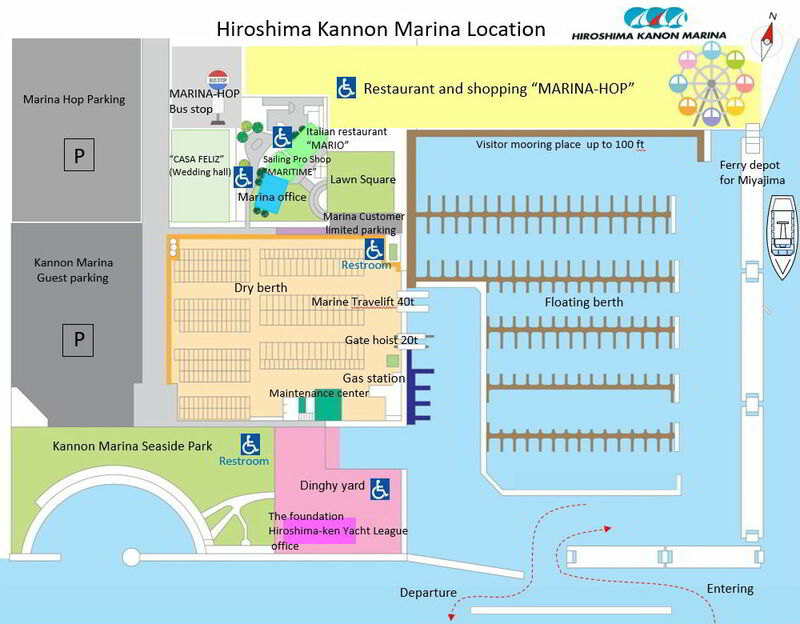 Overview of Hiroshima Kannon Marina. 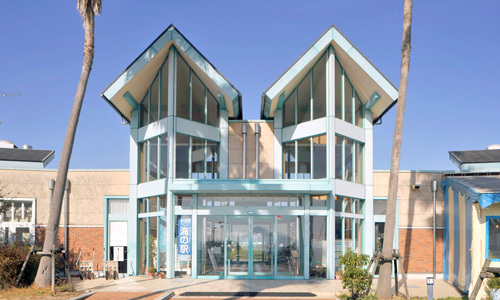 Hiroshima Kannon Marina provides lavish resort life for sea lovers. 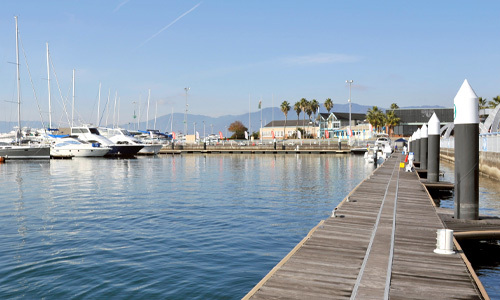 In addition to the state-of-the-art marina management system, 24 hours available maritime mooring facilities equipped with substantial software and equipment to fully enjoy the marina stay, we respond to the needs of marine leisure with a variety of services. We promise to satisfy you with a wide range of activities ranging from cruising, fishing to yacht racing. 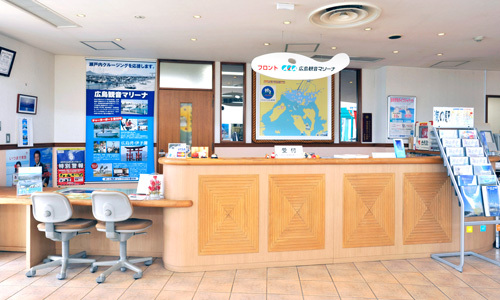 The stylish marina officeis well equipped with marine shop, restaurants, conference rooms for every type of seminars. Our courteous staff responds to various queries that may be related (but not limited) to procedure for entering and exiting the port, about various schools etc. You can relieve the day’s stress in our 24-hours-available clean exclusive shower rooms. 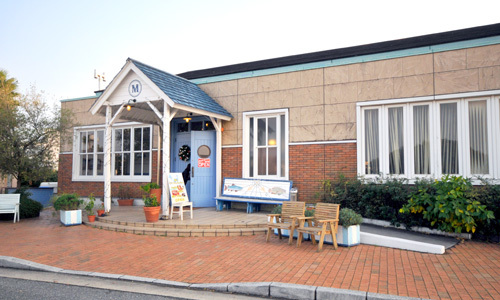 It is an Italian restaurant with an open deck adjacent to the marina. Savor your pasta and pizza over beautiful scenic view of the harbor. 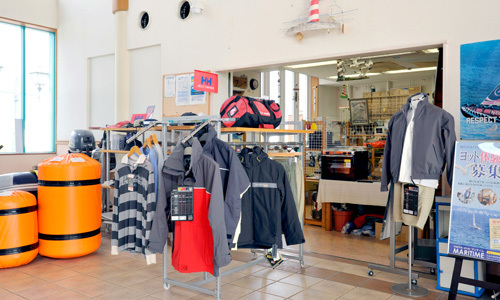 We have abundant range of boat/yacht parts, marine wear, miscellaneous goods etc. and our skilled staff to guide you. 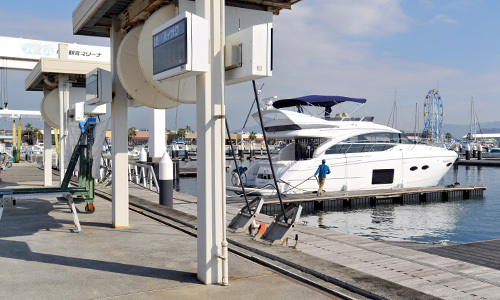 Storage and temporary mooring of boats and yachts for maximum 100 feet is possible. Tasks such as port entry/exit management, guidance to visitor boats, refueling, lifting and lowering are managed by us. 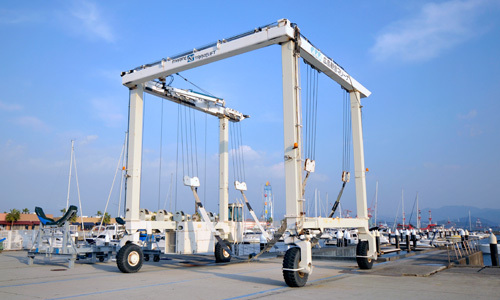 Reliable and safe lifting/lowering of large boats/yacht with maximum suspension capacity of 40tons is carried out. 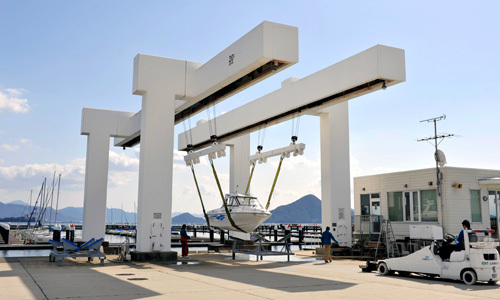 Speedy lifting/lowering of small boats/yacht with maximum suspension capacity of 20tons is carried out. 5 ships can be refueled with 3 diesel oil, 1 regular, 1 high octane gasoline at the same time. 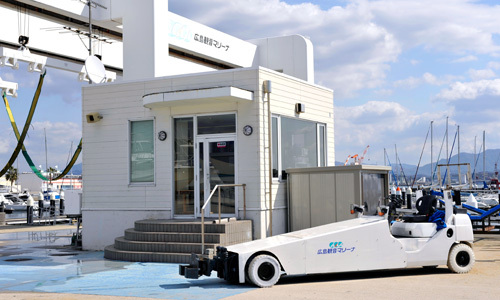 Also, a vacuum pump is installed to prevent marine pollution.